Illuminate your environment with our selection of holiday light sets. Shop here for the unique lights you need to decorate your home in style for the festive time of year. 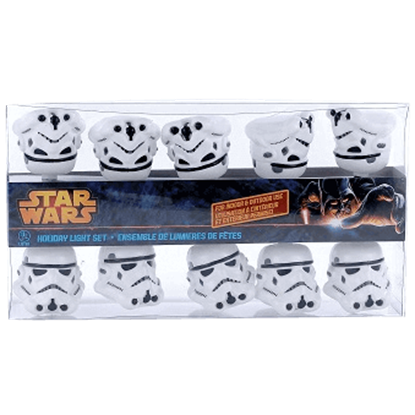 Our assortment includes officially licensed light sets with designs inspired by favorite movies and series, including Game of Thrones, The Force Awakens, and the classic Star Wars films. Decorate your Christmas tree with our Santa Yoda light sets, or show off your love for Star Wars as well as the holidays when you light up your front porch with our Stormtrooper Helmet Light Set. Add a delightfully festive glow to your environment for themed parties and other events throughout the year as well, as many of our lights can be hung up indoors or outdoors for a touch of fun, no matter the occasion. Shop our sets of string lights, Christmas lights, pop culture light sets, medieval holiday lights, and more. If you simply cannot choose a favorite Game of Thrones house, why not deck your halls with the Game of Thrones Shield Light Set? 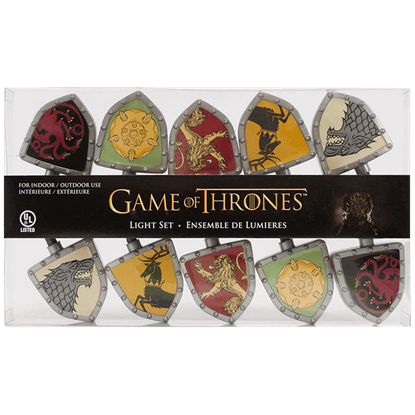 This set features 10 shield shaped lights, each with the crest of one of the great houses of Westeros. 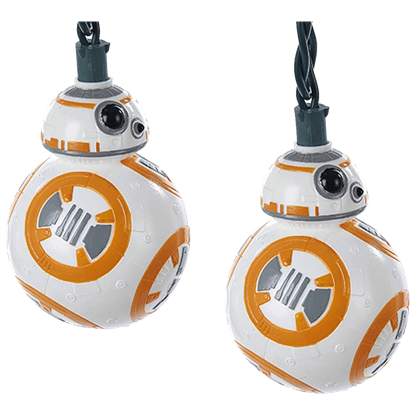 If your favorite droid enjoys rolling across the sands of desert planets, assisting the Rebel Alliance, and hanging out with former Stormtroopers, then the Star Wars BB-8 Light Set is the light up decoration you are looking for. Let R2-D2 bring some Star Wars astromech style to your space for the holidays or any time of year. 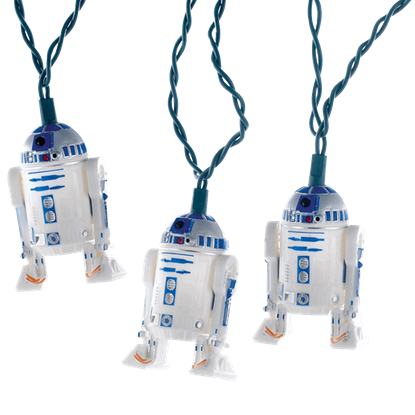 Officially licensed, the Star Wars R2-D2 Light Set features a series of 10 R2-D2-shaped light covers made of injection molded plastic. 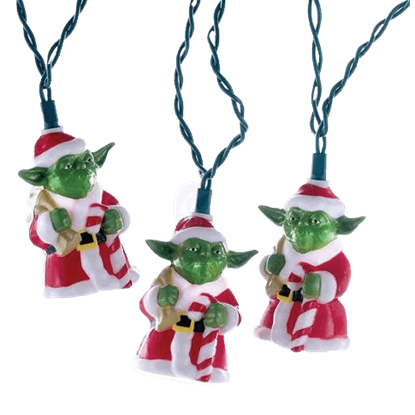 Festively dressed, Let Yoda bring the light side of the Force to your holiday home decor. The Star Wars Santa Yoda Light Set features 10 lights, each illuminating a cover shaped like the Jedi Master Yoda masquerading as Santa Claus. Whether you are loyal to the Galactic Empire or Rebel Alliance, the Star Wars Stormtrooper Helmet Light Set makes a fine addition to any decor. Decorate your space with this licensed light set for the holidays or any time of year.